Among the world’s great explorers, Mike Horn stands out. The South African is currently on a ‘round-the-globe expedition that is scheduled to last four years. He’s based on a sailboat, the Pangaea, and with it he and a crew travel port to port to dock and disembark (often with large educational groups of teenagers and kids) to climb peaks, ski in the Arctic, or participate in studies or massive marine clean-up projects. 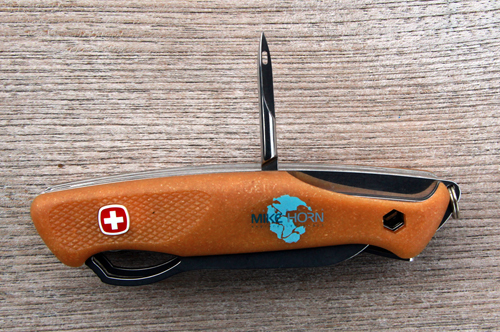 A couple years ago, Wenger of Switzerland teamed up with the explorer to make a namesake knife, the Wenger Mike Horn Knife. I reviewed it last year — the Gear Junkie article is here — but this spring I was fortunate enough to meet Horn and sail with him for three days en route from San Francisco to LA. 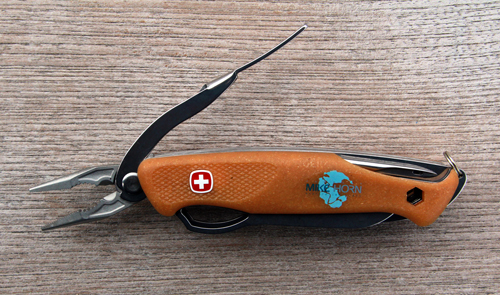 On the deck of his sailboat, Horn held his personal Swiss Army Knife up and gave me the tour. Gear Junkie: How did you and Wenger come up with the concept? 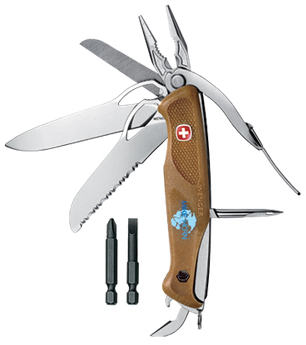 Mike Horn: Meeting with Wenger, I dumped out my old tool kit from a North Pole expedition, and I told the designers that I wanted all the eight tools in one place. 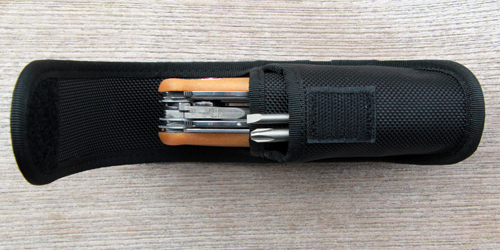 After a lot of development and back and forth, we put the tool kit into a knife form. It cut the weight in half from my old kit. How often do you use it on an expedition? It is the only tool I use every day of an expedition. Tell me about the serrated blade. Why the rounded-off tip? It’s rounded for safety. I once cut the side of a man in the water when I needed to cut him free. It had a sharp point. With my knife, you could slide it along the body and still cut a line or whatever it is to assist. The pliers are unique. Why a needle-nose design? That is for tent poles. On polar trips, with the thinner pliers you can get inside the end of a tent pole to grab elastic cord [and pull it out]. The file was also added with tent poles in mind. You have to repair poles on expeditions. The file is made to score aluminum tent poles, and then once scored all around you can crack to break them clean. Other unique features that might not be obvious? The can opener has a sharp tip, and you can press it to score a point. And I use the awl as a drill. I have re-mounted ski bindings by drilling a hole for the binding screws on the ski when something failed in the field. Another thing: The file is made to sharpen ski edges. I noticed you keep a couple of them around on the deck and inside the boat here. Do you use them on the Pangaea? Yes, most every day. The blade or the bits. The universal bit acceptor was to let it work with a screwdriver or almost any kind of driver head. Finally, what about the handles? I call the handles the scales. They are made of recyclable material and with bits of wood. It has a nice grip, and it’s also an environmental story. Two things I like. —Stephen Regenold is founder and editor of www.gearjunkie.com. For more about Mike Horn and the Pangaea Expedition, go to www.mikehorn.com.